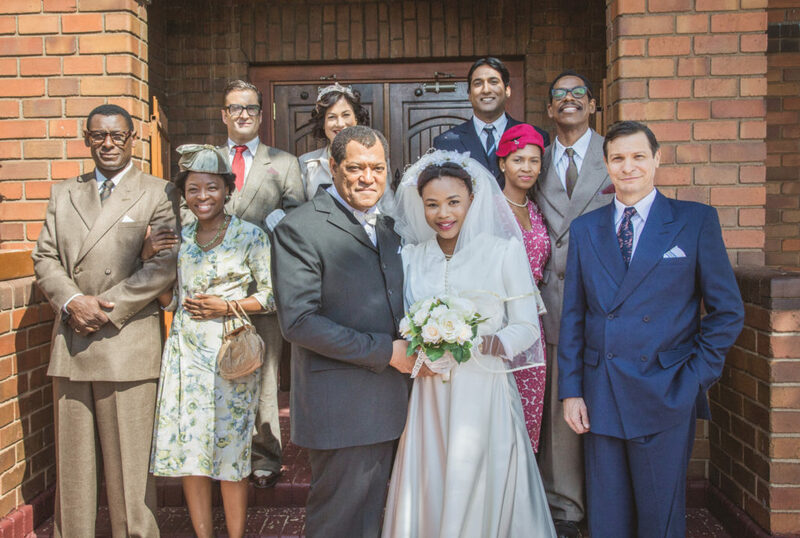 *BET’s Laurence Fishburne-starring “Madiba” miniseries debuted Wednesday night and runs February 8 and February 15, with the premiere episode available to stream at the website. 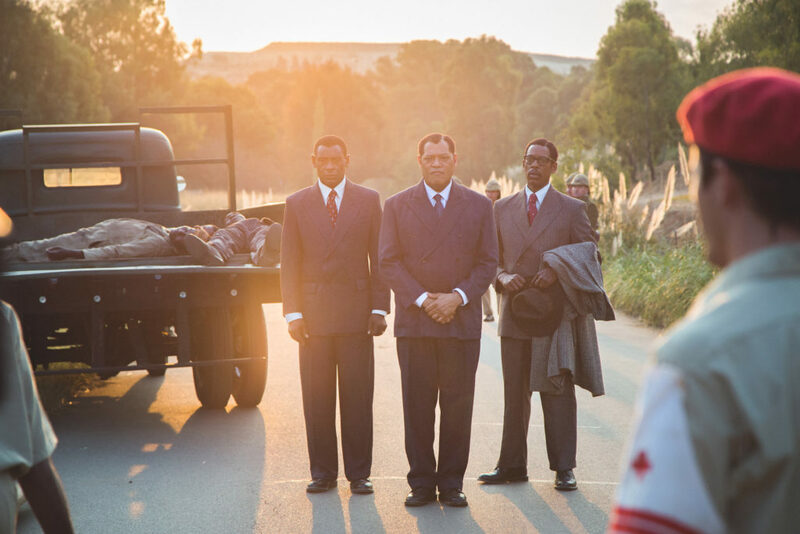 The story is based on the books “Conversations With Myself ” by Nelson Mandela, and the Kevin Hooks-directed drama comes more than three years after the politician’s death. It details the early years of his personal journey, including behind-the-scenes strategizing and bold organizing tactics he and his collaborators used to bring attention to their movement both domestically and internationally. The infamous Robben Island is where Mandela served 18 of his 27 years in prison, and Fishburne revealed to EUR/Electronic Urban Report that he was able to explore many historic sites that have been preserved by South Africans. 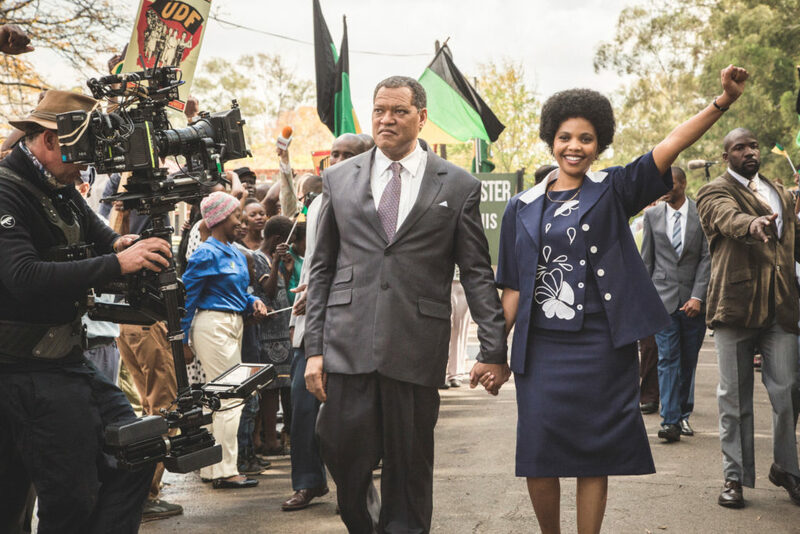 During the Television Critics Association Winter Press Tour last month, producer Lance Samuels explained why he wanted to explore this story of Mandela, and how his version differs from previous films based on the revolutionary. “Nelson Mandela was one of the greatest men ever to live, and it was such a complex huge story that the reason we decided to do it in six hours was because at that time, that gave us time to really explore who Nelson Mandela was,” Samuels said. Fishburne never met with Mandela, but he did have a chance to hear him speak in Atlanta when Nelson was touring America, following his release from prison. “I got some nosebleed seats, you know. 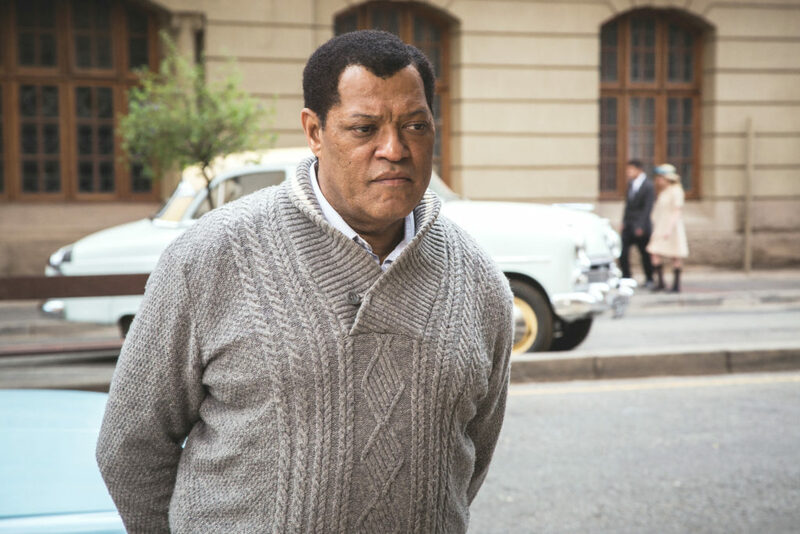 I wanted to say that I had seen him,” Fishburne said during TCA. He also explained where his research began in building his portrayal of the activist. “I went to a school called the Ron Clark Academy. And Ron Clark and his partner had been taking children to South Africa for a number of years now, and they were preparing for their trip. They gave me this great blessing, because as they were preparing, they were practicing the national anthem of South Africa. So they sang this to me, and that was where it really started. That was like a huge blessing for me to go,” he said. 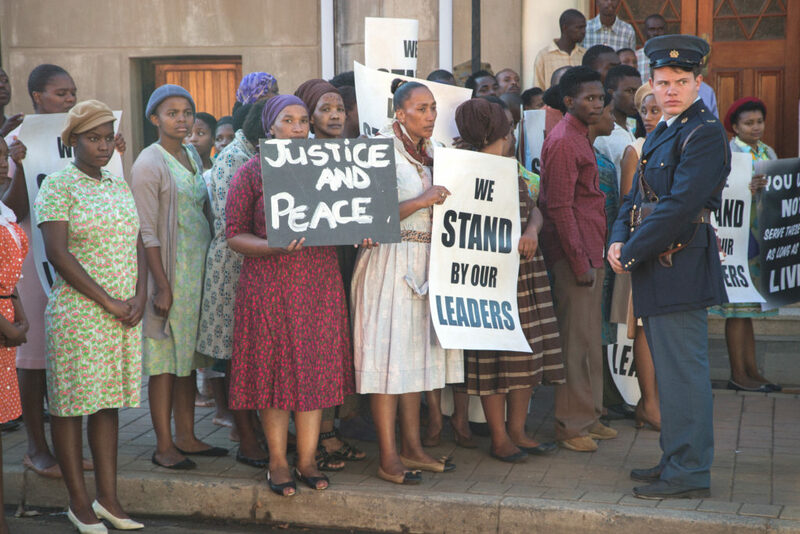 Did you film any scenes with South Africans who were there with Mandela or have a personal perspective on Apartheid? LF: All of our cast members, with the exception of three of us, were from South Africa. And they brought their A-game and they made us all better. So many of them lived through the Apartheid system. I don’t recall if any of them knew Mr. Mandela, or spent any time with him, but the fact is, they were all South African natives and they all lived through it. Which aspect of Mandela was most vital for you to capture? His voice, his presence? LF: Because he was a tenor and I’m not, I didn’t try to be a tenor, and I think more than anything I was trying to capture two things that he had that were incredible. One was, he had a natural kind of command. He had a commanding presence but also had tremendous humility, and those were the two things that I felt were kind of strengths of mine that I could lean into on the portrayal. Describe your emotional connection with Mandela and was it this connection that moved you to want to play such an iconic figure? LF: I wouldn’t describe myself as having an emotional connection with Mandela, certainly not in a way that I think you mean it. My vocation is… I do what I do. I’m an actor, that’s what I do. I was asked to play this part and of course I was honored and I said yes, and then from that moment I had to figure out what the connection was and if there was any. I ultimately decided that I would trust myself to be able to do the job. I met with a lot of people that knew him… that were part of his life, both his life in prison and his life outside of prison after he became the president. One of our producers is a grandson. And then of course we were in Johannesburg and Pretoria where all of the history really took place. So that informed everything that we were doing as well. In what ways do you think this series can inspire young activists today? LF: The hope is that people see parallels to what their situation was to what our situation is, and more importantly that people see that it’s never just one person. It’s always a collective group of people coming together to oppose those things which are fundamentally contrary to our basic humanity. So hopefully people will be inspired by the tenacity of these people and their single-mindedness. These were people of different backgrounds, different races, different ideologies, that all came together because they felt that the system of Apartheid was one that was unfair and unjust and they made a commitment to change it and they did.